Join us for a night of feeling beautiful by doing all 3! We'll be crafting our own take home products, packing Inner Beauty bags for women and girls in need, and exclusively sampling Fairy Tales Hair Care's new line of face, hair and body products called TBH Kids. Who can come? Girls 5-13. Bring a friend! No time to siesta, it's time to fiesta! 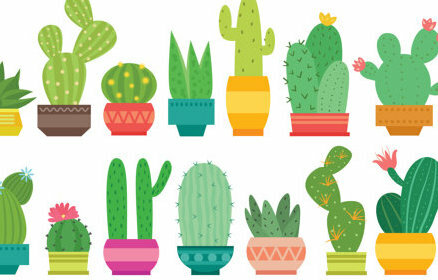 join us for a prickly, pinata popping party! Join us for a fabulous twist on a classic game show on Friday, August 18th from 9 AM – 12 PM. Who can come? Girls 5-12. Bring a friend! What to wear? This game requires a simple costume that you can put together at home. Think princess dress, cat ears, robe & slippers, grass skirt, artist, chef, rock star, cowgirl, gymnast, Olympic swimmer, etc. What to bring? In order to play the game, your daughter will need to bring a shopping bag full of random items from around the house. You’ll want to try to include a combination of common items and unique items that not everyone may have in their bag. For example: play food, toothbrush, deck of cards, book, pair of socks, post-it notes, sunglasses, Mickey ears, Barbie, Hotwheels car, receipt, stuffed animal, etc. In total, your bag should have about 20 items. Join your Fabulous Sisters for a classic PJ Party with a twist. Wear your favorite fuzzy slippers or footsie pajamas, and get ready to laugh a lot and learn something new about the person sitting next to you. To Register for the Pajama Party Sisterhood Event, please submit the RSVP form to your right and submit payment through the order form below or by mailing a check to 103 Jacksonville Road, Lincoln Park, NJ 07035 (all checks made payable to Finding the Fabulous). *Dinner will not be provided, but plenty of snacks will be! Please fill out the registration form below and press the SUBMIT button before ordering your ticket. Join us for a glimpse of what life is like for girls around the world. We've got the passports, you bring the imagination. And don't forget to start practicing your accents! To Register for the World Tour Sisterhood Event, please submit the RSVP form to your right and submit payment through the order form below or by mailing a check to 103 Jacksonville Road, Lincoln Park, NJ 07035 (all checks made payable to Finding the Fabulous).